Scott Tranby - Mowbray & Son, Inc.
Scott Tranby attended Bismarck State College briefly after his high school graduation. He moved to Seattle, WA, where he worked as a sheet metal apprentice for Reliable Sheet Metal. Scott returned to ND to work at various power plants throughout the state. During this time, Scott met Larry Lemon while attending Sheet Metal Local #10 union meetings. Scott has been a member of the sheet metal union for 40 years. 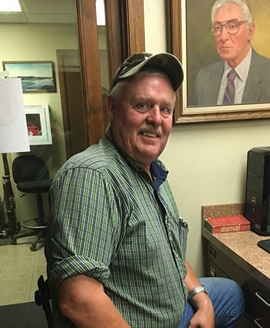 Larry told Scott of a short term job opportunity at M & S Sheet Metal Inc. On June 9, 1985, Scott was hired to do a couple of weeks of welding and sheet metal fabrication. Those few weeks ultimately turned into 30 plus years. During his career at M & S Sheet Metal Inc, Scott evolved from doing welding and fabrication to providing services as an HVAC Service Technician/Estimator. Scott has been an important part in developing and training the HVAC service department for the company. Scott has a loyal customer base that he has been providing outstanding HVAC services to for years which include Trinity Hospital, Minot State University, and Dakota Square Mall.